Your big day is planned, the venue is booked, the menu has been set, and the invitations are sent! What's next? Let Eagle Entertainment Event Services take care of your event with music and game to keep your guests entertained. We have professionally trained Event Hosts always excited to keep the excitment going throughout the night. We offer the latest music, technology, sound, and lighting. 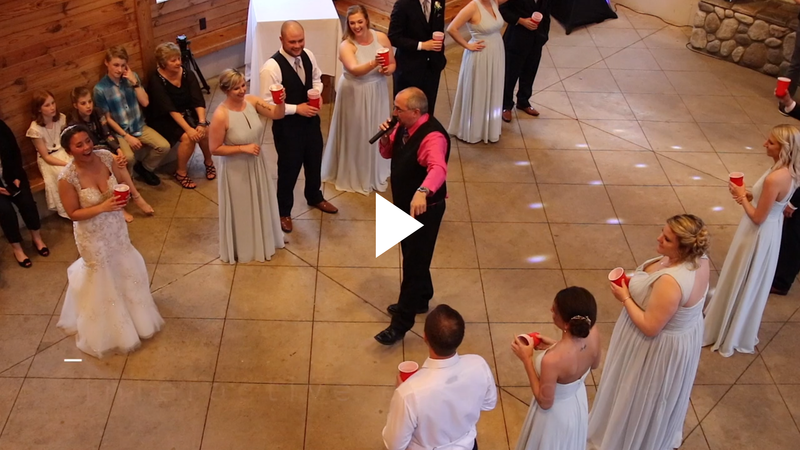 "I truly believe our guests had an amazing time at our wedding and a good part of that was due to the stellar performance put on by Josh and his company." We will impress your guests with our professional staff and service. Don't fret over the small stuff. Our staff will meet with you before your event to go over every detail, ensuring that nothing's amiss at the last minute. Keeping your event moving forward to get through everything you would like to complete. With packages starting as low as $400.00 how can you afford not to hire someone you can trust for your Wedding Day?